The Midtown Greenway. Photo courtesy the Midtown Greenway Coalition. 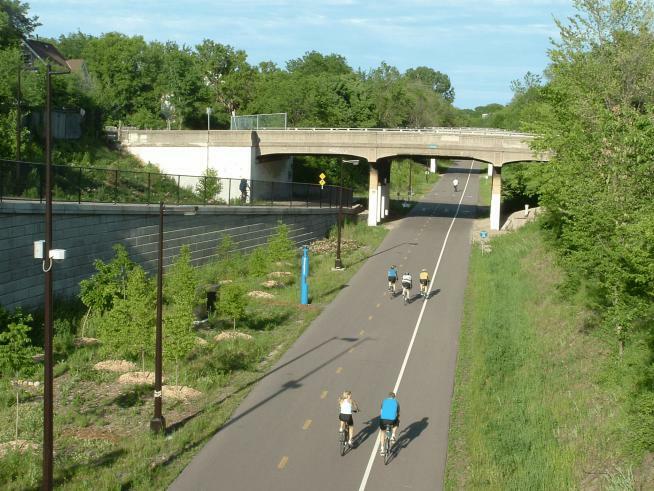 See the Greenway projected onto bikes and screens. By projecting the hardscape of the Greenway – as well as softer images of Greenway users – onto other objects, we seek to explore themes realized when the urban environment is activated by sound and light, juxtaposed by images created by actual Greenway users and supporters.